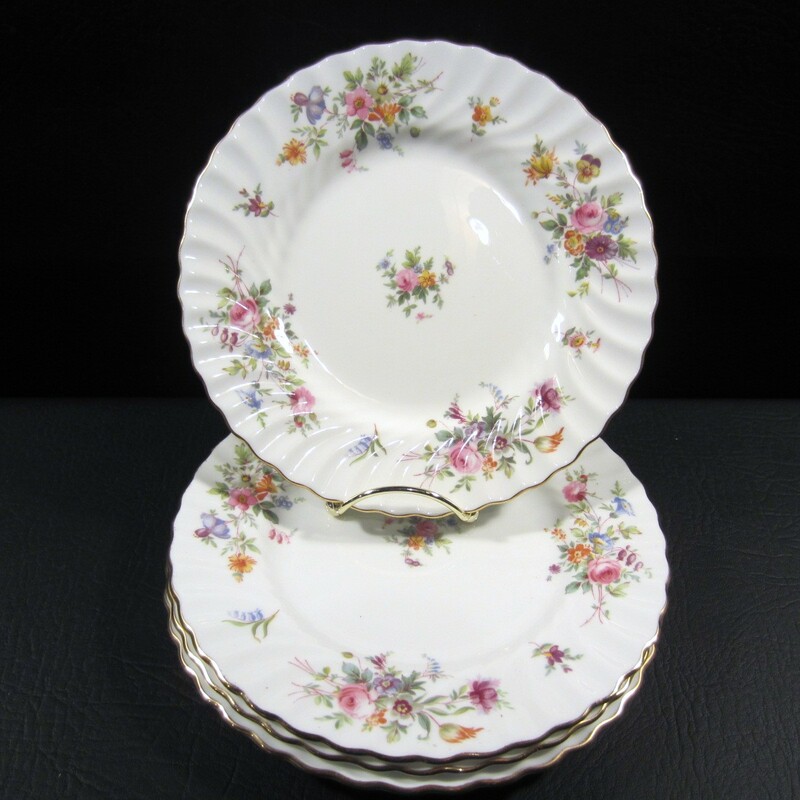 This perfect set of 4 Minton Marlow S 309 floral scalloped salad plates, are in excellent condition. 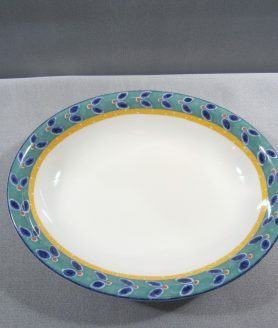 The design is clear, bright and crisp with the gold rim and accents being bright and shiny without wear. 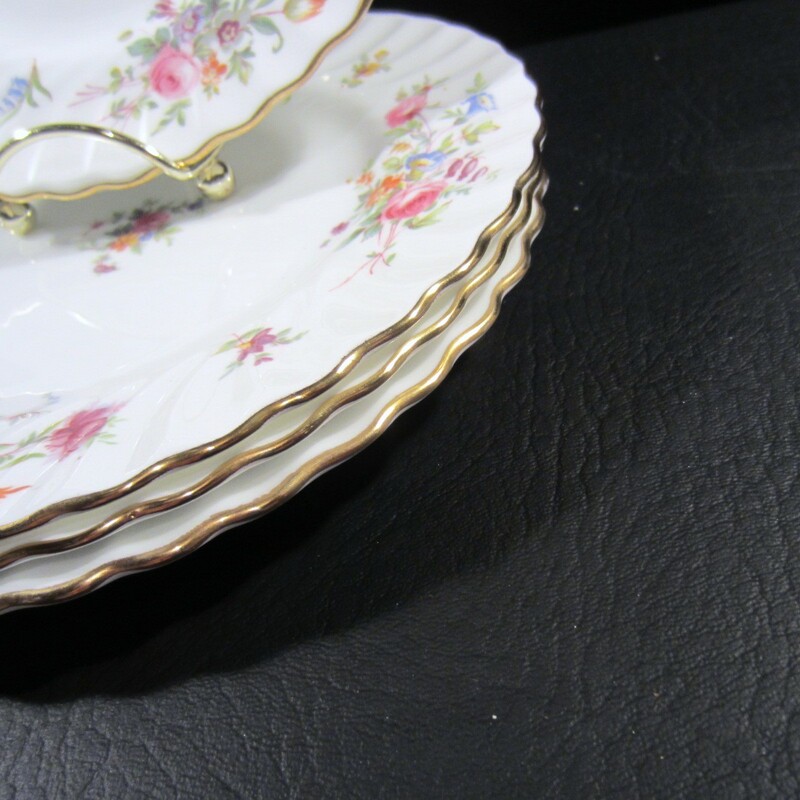 Absolutely stunning bone china pieces. 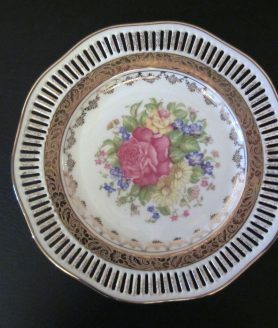 The Minton Marlow mark is on the bottom of each along with the Minton embossed stamp. Wow, don’t miss out on these stunning pieces. Amazing!! *** Please check out the tea cups & saucers in this same beautiful pattern we also have for sale. 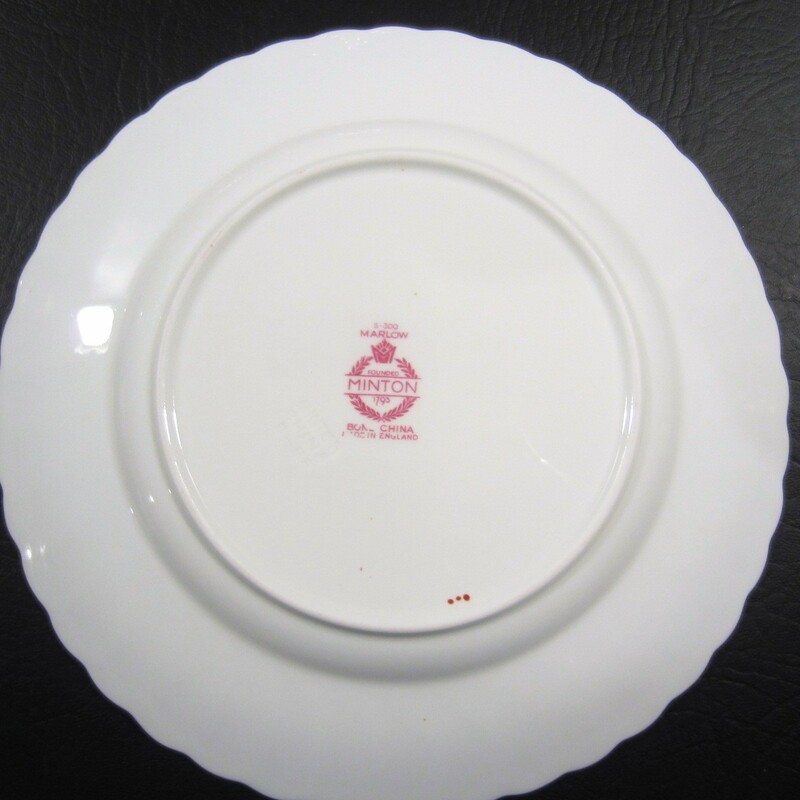 Excellent pre owned clean condition with no cracks, chips or stains. Beautiful amazing pieces! !